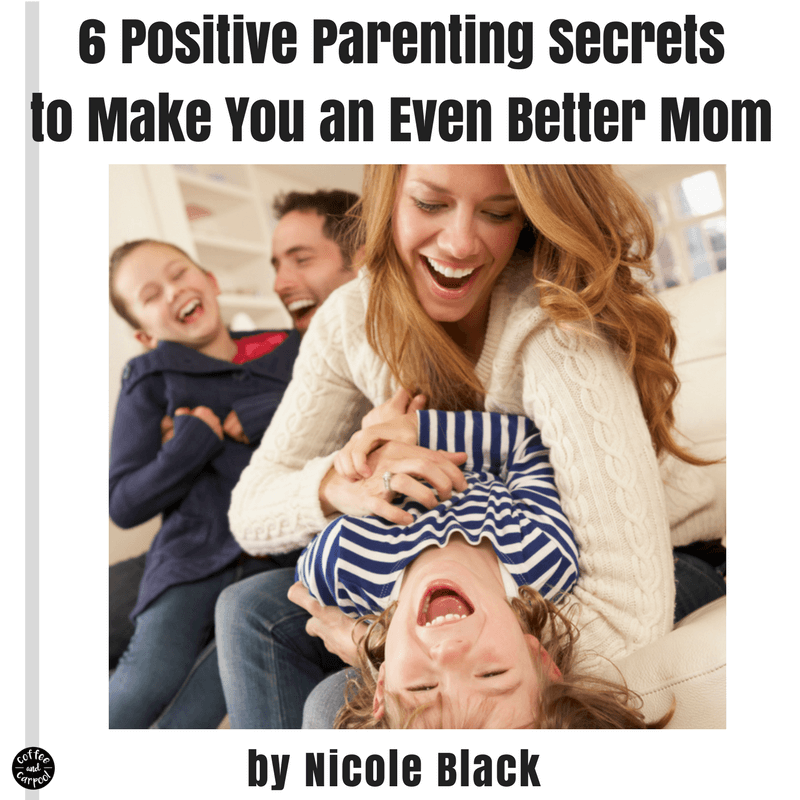 Inside: Positive Parenting techniques allow us to be calmer and happier and more peaceful parents. But what is it? 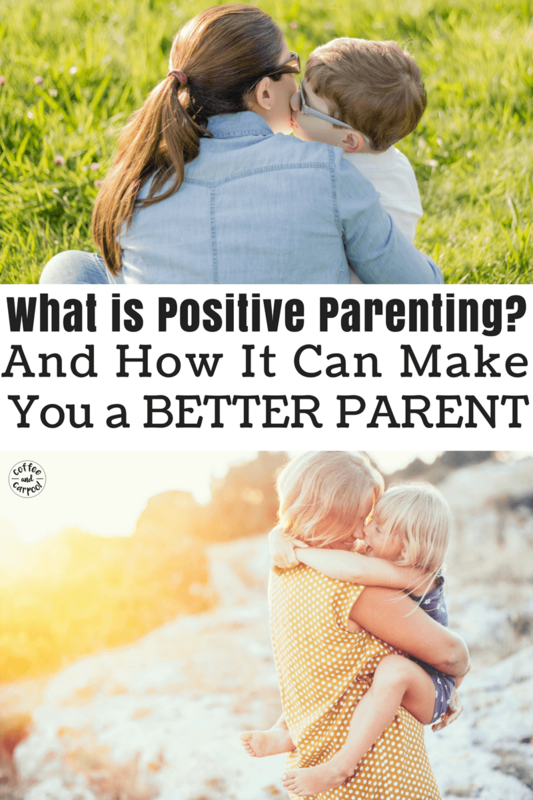 How can you be a more positive parent? There are 6 simple things you can be doing right now to yell less and be a happier parent. It was a Tuesday afternoon and I was in a standoff with a two-year-old. It was unclear as to who had the upper hand. I had to get her to wear her sunglasses. She can’t see without them and because of a rare medical condition, her vision would be ruined if she stepped outside without them. And my daughter refused to keep them on. She was testing every limit. Every ounce of patience I had. I got mad. And she got madder. She started to have a temper tantrum and I started to have one too. No glasses, she screamed as she stomped her feet. I begged. I tried to plead. I cajoled. It wasn’t working. Nothing was working. This was turning into a lose-lose parenting moment. I was outmaneuvered by a two-year-old because I couldn’t get her to do what I needed her to do. What she had to do to stay safe. I had to protect her, but I needed her to listen in order for me to keep her eyes protected. I felt helpless. And out of control and tired. She was tired. And felt helpless and out of control too. And we had to figure this out fast, because with a strong-willed, determined toddler who had very specific medical needs and an infant due any minute, I was on a time crunch. She had to listen. But how could I get her to do what I wanted and needed her to do? How could I get through to her that I was in charge, without breaking her spirit? Without hitting her? Without punishing her? For that, I turned to Positive Parenting and its techniques. I am, by no means, the end all be all expert on positive parenting. What I am, is a mom of three kids who had to figure it out as I went. I read the best parenting books. I surrounded myself with incredible teachers. And I learned from other parents. I made mistakes…and I still make mistakes. But what I learned is Positive Parenting, and its techniques make me a calmer, happier, more peaceful parent. Which makes my home and kids calmer and happier too. 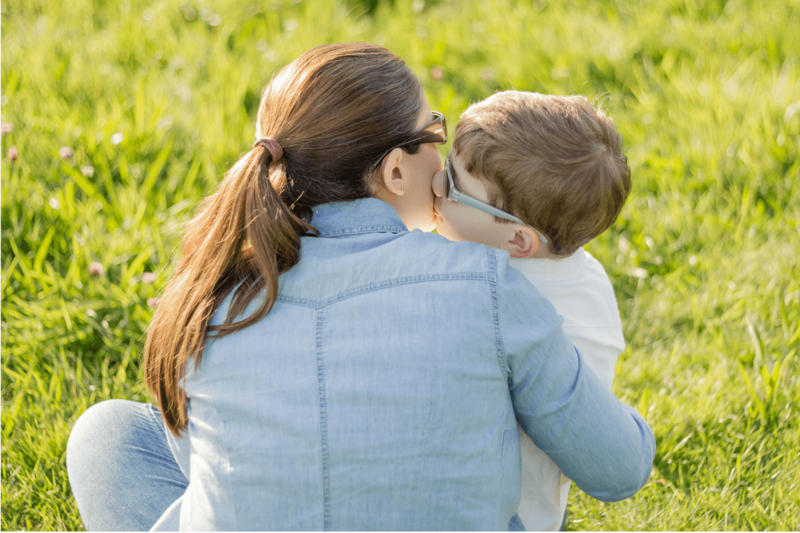 And while everyone approaches Positive Parenting in slightly different ways, there are some commonalities to it you can start implementing today. There are a few Positive Parenting techniques that will make your home happier and calmer and more peaceful. But my job is to make my kids the best people they can be without squashing their spirits. I don’t want them to fear me. I don’t want them to be afraid of my “wrath” and I am not trying to control my kids. But I am still in charge. I can respect my kids and their feelings without being a permissive parent. Because it’s my job to mold them and grow them and channel their spirited responses into socially acceptable behaviors that are in line with our family’s values. One simple way I respect my kids is by empathizing with them. I get down on my kids’ level by kneeling or sitting, and I talk to them when they’re having big feelings or big reactions. I hear you don’t want to wear the glasses. But you need to wear a pair of sunglasses to keep your eyes safe. Which pair do you want to wear? She didn’t like the pair I was offering her. That’s fine. But we needed to find something she does want to wear. I know you don’t like Tater Tot casserole and I’m sorry you don’t want to eat it. But it’s what I served for dinner and you can eat it or get a piece of fruit. I can empathize that they don’t like my dinner without making them macaroni and cheese. You really want the cookie. I totally get it. The cookie looks delicious. But cookies are a sweet treat and we need to eat our dinner before we eat sugar. Cookies are delicious and I want one before dinner too. But they still don’t get one. You don’t want to stop playing and go pee. I know you want to keep playing. And you don’t feel like you have to pee. But you do have to sit on the potty for a minute and try. And the faster you do that, the faster you can get back to playing. I don’t like stopping what I’m doing to pee either. But it has to happen. So let’s get it done so there are no accidents and then they can get back to playing faster. You don’t want to stay in bed. You want to come downstairs. But the day is over and it’s time for you to stay in bed. You don’t have to fall asleep, but you do have to keep your head on your pillow. Going to be bed when you don’t feel tired or when you’re afraid you’re missing out on something isn’t fun. I get it. But our kids need their rest. So they’re staying in bed. I don’t give in to what my kids want when they’re upset or throwing a tantrum, but I acknowledge their big feelings. Because their feelings are valued and important. And knowing they are heard and understood is powerful for our kids. To get my daughter to listen to me and do what I asked her to do, I had to listen to her first. She didn’t want to wear the glasses I handed her. She was being told what to do and when to do it and she felt out of control. So she ripped them off her face whenever she chose to do so. I had to give her some say in the matter to get her to “buy in” to what I needed her to do. She had to feel like she had a say. With this simple offering, she’s not choosing between wearing or not wearing the glasses. She’s choosing between the pink and purple glasses. And I don’t care which ones she wears as long as she has one of them on her face. And all of a sudden with that simple choice, she felt more in control of her situation and her behavior. This is not permissive parenting. I’m still in charge. But she has a little control over what happens in her life, which makes all the difference in the world to her. You put on your seatbelt or I put on your seatbelt? Put on your right shoe or your left shoe first? Put your shirt on first or your pants on first? Red cup or blue cup? One book or two books for bedtime? And because we give our kids choices about colors or order of events or who does it, when we face something that’s not a choice, they don’t put up a fight. Bike helmets are not an option. Seat belts are not an option. Keeping your clothes on in public is not an option. Positive parenting still involves rules. I love rules. And while our kids might not be able to verbalize it, they love rules too. Because rules let them know exactly what we expect from them. When they know what we need them to do, our kids can be successful, right away. Our kids aren’t left wondering if they’ll get in trouble for something they did today but didn’t get in trouble for yesterday. Positive parenting also rephrases the rules to limit the times we say “no” to our kids so when we have to say “no,” our kids know we mean business. Plus, when you tell kids what you want rather than what you don’t want, it’s easier for them to listen. Instead of Don’t take off your sunglasses, we say Keep your glasses on. If we teach our kids they can’t hit, adults can’t hit either. Positive parenting absolutely does not involve corporal punishment of any kind. But we do time-ins. We give them a space and place to calm down and reset if needed. 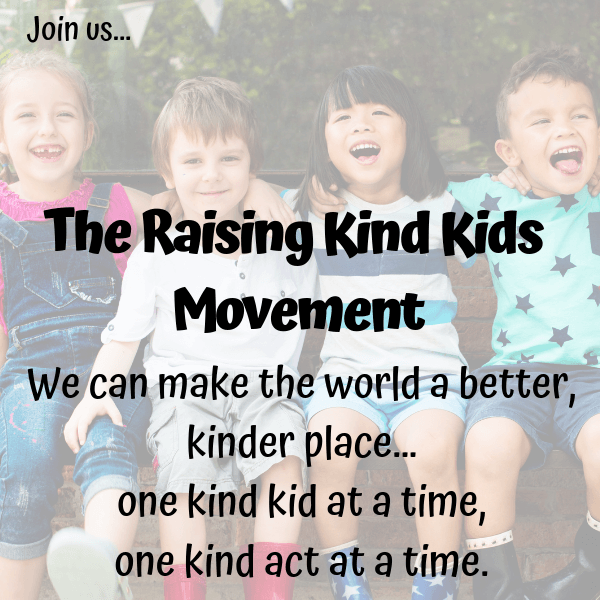 And we focus on connecting with our kids in positive ways that will encourage positive behavior. And we do natural consequences. If my kids don’t put on their shoes, we can’t go to the park. If my daughter doesn’t keep her glasses on, we can’t leave the house. If they won’t put on their coat, they will be cold. If they take off their seat belt in the car, the car stops and we’re late to wherever we’re going. And when we do offer them praise for a job well done, we save it for when we really mean it. Positive parenting tends to focus on what we observe rather than putting our own opinions on their actions, their decisions, and their artwork. This works because when you really do love their artwork and you really do think it’s pretty, you can say it and they’ll know you really mean it. It’s more valuable. When our kids are having tantrums and digging their heels in, our kids are telling us something. They’re mad or frustrated or tired or hungry or feeling out of control. It’s our job to figure it out what their behavior means. When we can view a tantrum as our kids trying to tell us something rather than seeing it as them “being bad,” it reframes how we approach the situation. My daughter throwing her glasses off her face was a two-year-old’s attempt to tell me she didn’t like the way the glasses I handed her fit on her face. She wanted a different pair. But she couldn’t verbalize it. I had to not get mad at her for digging her heels in. I had to figure out what she was trying to tell me. I had to offer her a choice I could live with. 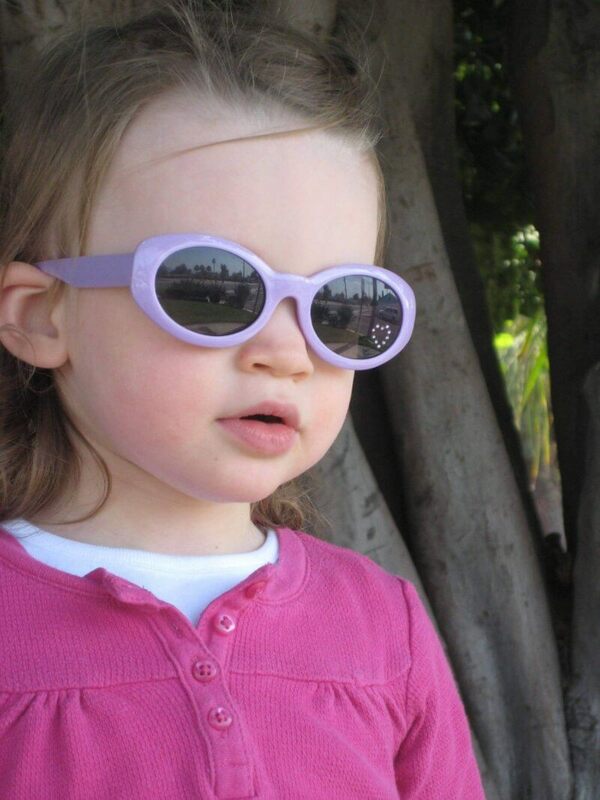 And when my daughter felt empowered to make the decision between the pink and purple glasses, she picked a pair she would keep on her face so her eyes would be protected. And we walked out the door to her Mommy and Me class with her tiny hand holding my hand, sunglasses firmly on her face. I got what I wanted and she got what she wanted. And what could have been a total nightmare tantrum moment, quickly turned into a positive win-win moment. Love it and want to know more about Positive Parenting? 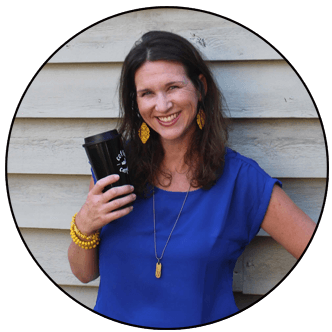 Here’s my ebook with some of my most tried and true positive parenting tips! Very well explained! You make it seem achievable vs. something too perfect to actually work. Thank you ❤️. I’m so glad. Little changes can make big changes in your home!